Sir Thomas Myddleton bought the castle in 1595, and his descendants continued to live at Chirk for over 400 years. The first formal garden was laid in the 17th century, with later alterations by William Emes and then Norah Lindsey. 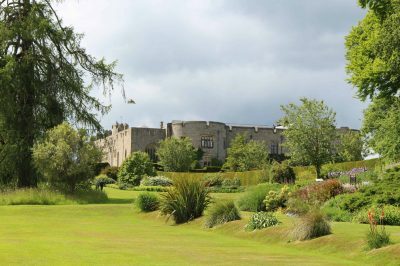 The current garden covers 5.5 acres of manicured lawns, clipped yews, herbaceous borders, beautiful rose, shrub and rock gardens, the wooded Pleasure Ground and the 18th century ha-ha.